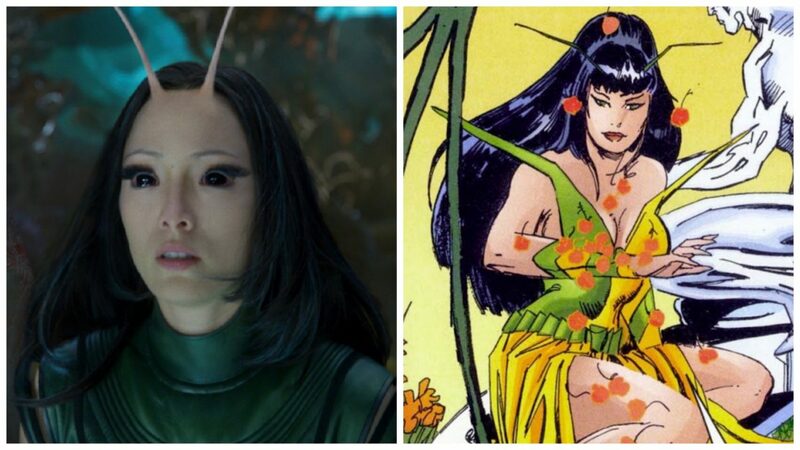 Death doesn’t matter in comics. 90% of the time that I spend thinking about comics, I argue against this. But if people die all the time and then come back, death can’t matter. What this imaginary companion of mine is saying is that death is not permanent in comics, and this lack of permanence means that it does not matter. I get where my companion is coming from. I agree that certain comics treat death in a way that feels like it cheapens the story. That, like other bloated events in mainstream comics like perpetual crossovers, can be really frustrating. Still, I believe that death can matter in comics, even if it is not permanent, because I believe that death does not function the same way in comics as it does in other mediums. 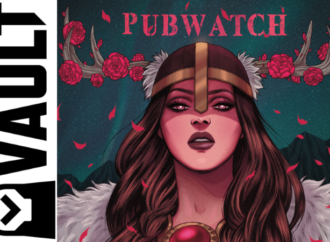 Saladin Ahmed and Christian Ward give us a great lens through which we can look at death in their phenomenal first arc of Black Bolt. 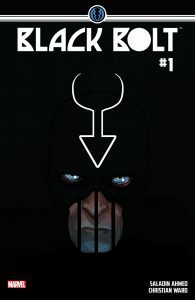 Within the story, Black Bolt gets trapped inside the prison in which he had been attempting to send his brother, Maximus. Inside, he meets fellow prisoners Crusher Creel, a pirate Skrull named Raava, a young girl named Blinky, and an old man named Molyb who was serving time for violent tyranny. As the story progresses, we find that the jailer is killing and reviving the inhabitants of the prison and powering himself from their pain and suffering. So here we have a story in which characters die many times. One character even dies “permanently” (at least within this story). So why does his death matter in a world and a medium in which people constantly die over and over again? Or more specifically, what does death mean when it is not permanent? First of all, I don’t want to completely skip over the story’s more obvious parallel to the prison industrial complex and the sort of neglect that happens when people (even those we consider criminals) are locked away from view. It isn’t a coincidence that their labor of suffering serves as literal fuel for the being (or structure or system) which imprisons them. It isn’t a coincidence that the imprisoned people within the stories are varying degrees of “guilty” and “innocent” and still the punishment is shown to not match the crime. All of this highlighted Black Bolt’s ignorance about the place that he had been planning to send his brother. That is the most important part of the story, but it isn’t what I want to focus on today. In this panel, Creel could just as well be talking about the readers, the consumers of these serial stories we all love. Death, like many parts of a story, serves as fuel to propel the story forward. People attempt to escape death, cause death, face death, or recover from the death of others. Death is the big drama of life, and drama is why we read these stories. 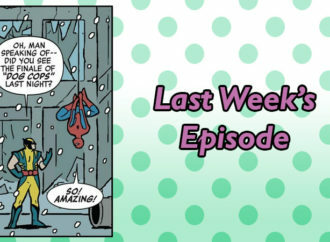 This sequence is representative of what happens within the seriality of superhero comics. 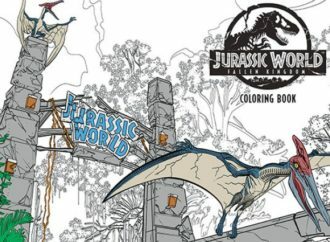 Every new issue focuses on the “adventures” or trials that our protagonists are put through — comic after comic after comic. Few superhero comics focus on peacetime. There is always something that disrupts the superhero’s life. There is always an antagonist to stop. 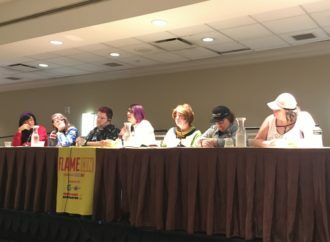 From an artistic standpoint, the panel layout seems structured, but the panel sizes are different, and they don’t all line up. 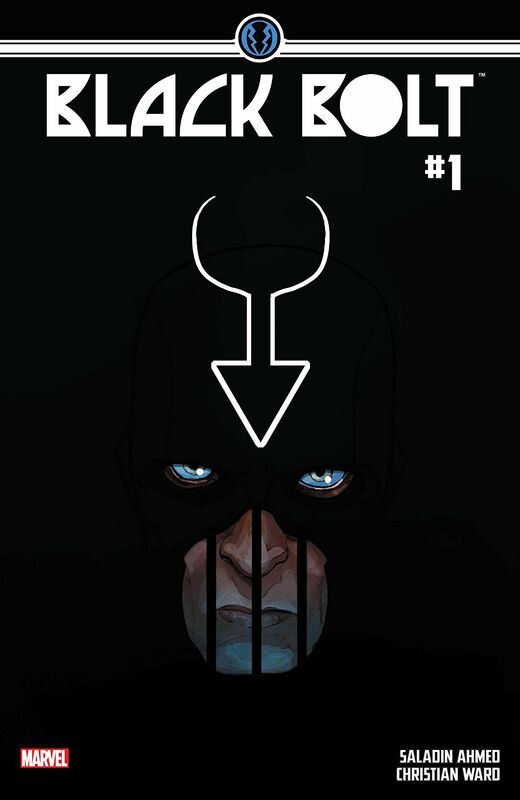 But one thing is for certain, Black Bolt is shrinking in the structure. It serves almost as a metaphor of the never-ending comic book narrative. 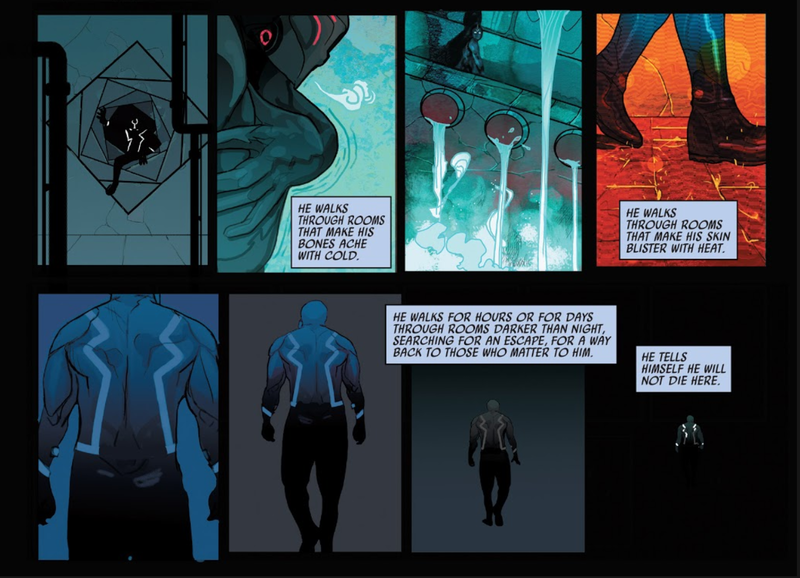 In these eight panels, Black Bolt goes through more painful rooms than we can even imagine, and all he an do is continue to move through them. “He tells himself he will not die here.” Death propels him and the story forward. Even after Black Bolt is brought back from the dead and he realizes what is happening, he continues to attempt to not only escape death but also to escape the circumstance. Of course we learn that these deaths are painful and traumatic to go through, but they are not only that. There are removing the existence of a person and then bringing it back in an arbitrary way. But the deaths aren’t permanent. Every time someone dies in the story, they get brought back. Except for Crusher Creel when he sacrifices himself to absorb Black Bolt’s’ power and destroy the jailer. 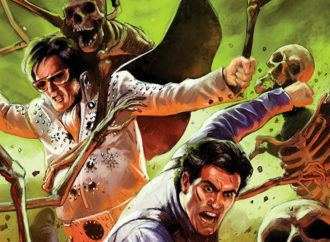 Yes, his death is permanent in this story, but it’s comics, right? He’s a pretty iconic bad guy. He’ll be brought back at some point. If that is true, then why then is it sad for the reader when Crusher Creel dies? 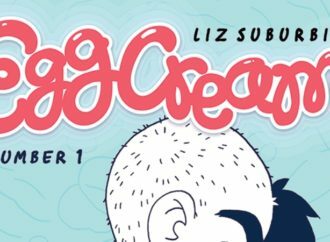 Most readers understand that this story is not the final end of Crusher Creel. But his death is still a powerful moment within the story. Part of it comes from the fact that this Crusher Creel feels different from the Crusher Creel we’ve seen in the past. We’ve gotten to spend a little more time with him, we’ve heard his story. We see his wants, his dislikes, his kindness towards Blinky. We get to know him, and the fact that he sacrifices himself so the others can get out is an emotional punch to the gut. We care because we care about the story. We care because Crusher Creel, in that moment, is not just the villain Crusher Creel. He isn’t just some abstract concept cobbled together from years of random comic book stories in the same way that the Black Bolt of this story is not the abstract Black Bolt of all of the other stories before him. They are the combinations of the specific choices made by the storytellers of what parts of their past to take and leave. The interconnectedness of all things in these overlapping universes is powerful, but it is not consistent and shouldn’t be treated as so (or punished for not being so). 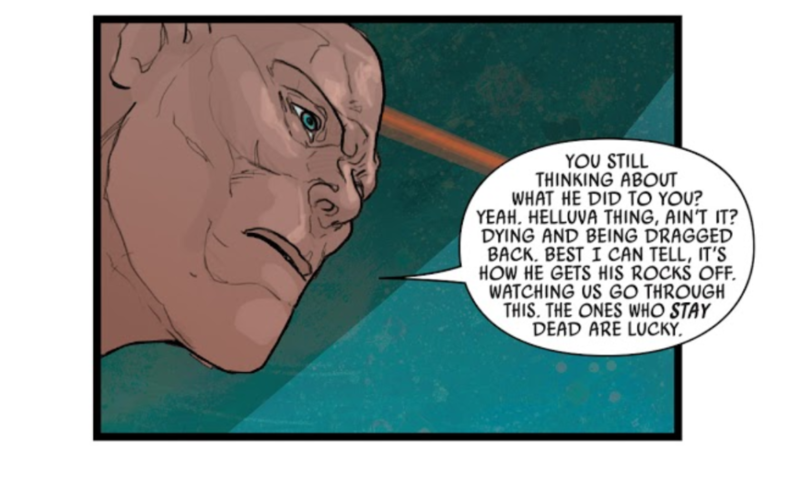 I don’t think that it is a coincidence that two of the challenges Black Bolt and his friends must face are the ever shifting walls of the jail and illusions of the dead (more specifically, dead loved ones) before they break out. These images are the pasts which always haunt the present versions of the characters. They exist, and they’re very much there, but not quite right and never concrete. As readers of ongoing, overlapping, and often contradicting serial narratives, I think that it is vital that we move away from overvaluing permanent consequence in the stories we consume. If we continue to do so, we will continue to be disappointed by the content created by these big comic book industries which always lean towards the big drama of life—death.